Synopsis: Everyone’s favorite forgetful fish, Dory, sets off to find her parents after she remembers that they abandoned her as a baby because she wasn’t pretty enough. Would you be able to sit through it? : Yes. It’s more engaging than most superhero movies these days, but so is filling out insurance forms. Any scary/violent parts? : Not really, just one scene where a squid is chasing after our protagofish, which is reminiscent of Bruce chasing after our protagofish in Finding Nemo… and is really pretty much the same thing, except the squid doesn’t talk. Why doesn’t it talk? Everything else does. Except the otters. And the birds, mostly. Hmm, this world’s rules are weird. Anything that will screw up your kid’s head? : Not much, refreshingly. *SPOILERS, I GUESS* At one point, Dory receives information that her parents are dead, which is sad for a few minutes, but doesn’t last too long. It’s the same thing that happens in Finding Nemo. Any lessons to be learned? : Never give up. Things can always get better. Find strength in your weaknesses. Fishsticks are murder. Recommended age: 4. Nothing scary and the plot isn’t hard to follow whatsoever. 3D? : It’s up to your preference. I wouldn’t say it’s entirely necessary as nothing really literally or figuratively jumped out, but the visuals and depth looked fantastic. Rent it, buy it or avoid it? : Buy. This is pretty much everything you’d expect, which is a good thing. Humor, heart, talking animals, death, mutilation, various disabilities, it has it all. While it does hit a lot of the same beats as Finding Nemo, there’s enough new characters and locations to make this still seem fresh. While the marine park isn’t as wondrous a setting as the entire ocean, it adds a newer element (namely, a fish making its way through different exhibits) of obstacles needing to be overcome that’s cool to see. Although, and this is some serious nitpicking, they treated Hank the octopus (septopus actually) like he was a monkey, when octopussies on land get around more like a slithering pile of vomit. But animals don’t talk, either, so we’ll let it slide. 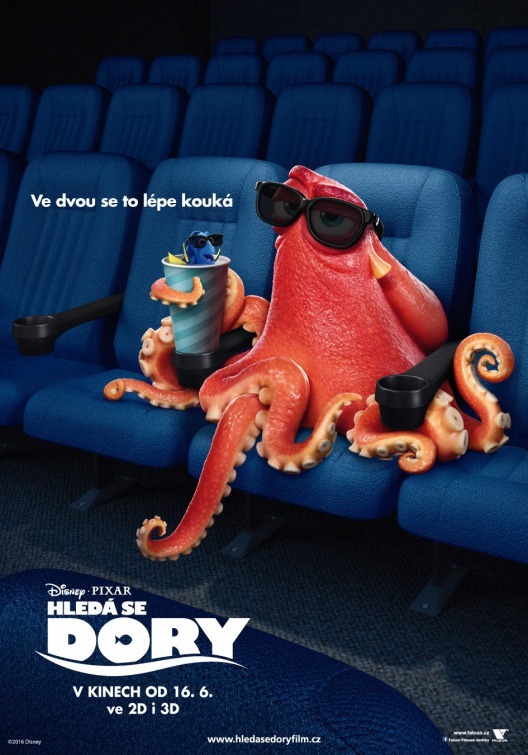 Also, maybe this movie will help everyone understand that the octopus is the coolest animal on the planet. So overall, good movie for young and old, gorgeous visuals, heartwarming story, great voice acting, the most adorable little girl fish voice you’ll ever hear, and McNulty and Stringer Bell from The Wire. 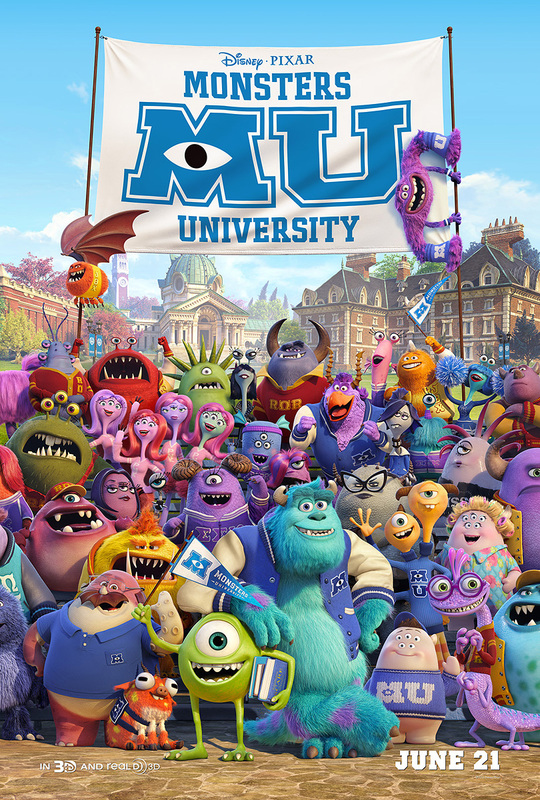 After some downs in recent years (Cars 2, Brave, The Good Dinosaur) Pixar is back near the top of its game, if not quite as good as it used to be, with this and Inside Out and Monsters University, which I loved, maybe even more than this, but not as much as octopuses. SHORT REVIEW: Piper was damn adorable. It was silent and had a very simple story but it was a treat to see. It’s amazing how far we’ve come with computer animation in the past 20 years (and how much we now take it for granted). The textures of the feathers, sand, and water looked stunning. It was much better than the weird Sanjay’s Super Team and didn’t have an annoying-to-some song like Lava. Is that how you deal with hysterical women?? 😞 You made me ink! I feel slapping hysterical women is a lost art. Can’t wait to check this one out! Great post!